Adding new, relevant content is a way to get Google to rank your web site higher in search results. So there has been an explosion of content on the web. As you might expect, much of this high volume of content is poor quality. 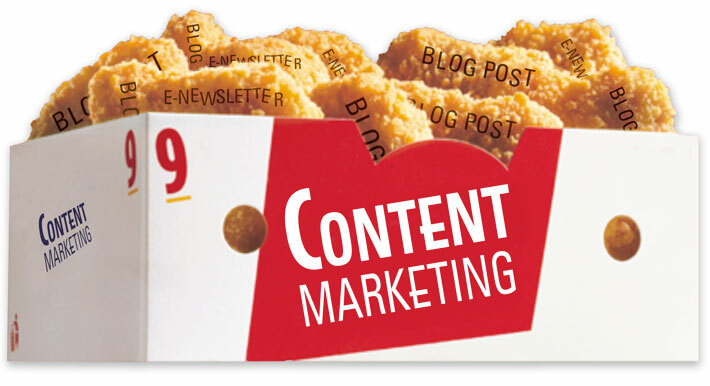 Like fast food, Content McNuggets are easy, quick and cheap. You can check off a box and say it’s done—you’ve eaten a meal or produced some content—but you’ve not enriched or nourished at all. Eventually, they both will just make you feel unfulfilled or even sick. 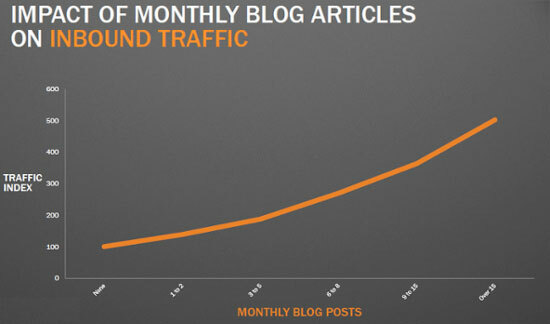 It has been documented that increased frequency of blog posts increases web traffic. This is the basic premise behind why so many people are jumping on the content marketing band wagon. Over the years, Hub Spot has provided a lot of data showing the direct relationship between blog frequency and web traffic. However, valuable content cannot be churned out by VAs and junior level copywriters. Also, if you only have the resources for an overused, poor-quality stock image, you can’t expect that people will become captivated by it. If your blog post could have been written by hundreds (thousands?) of others in your field, than it probably has been done and overdone already. You’re not bringing any new value to the conversation, and you therefore cannot expect to rank high in search results or to prove your worth to prospects. To further this problem, people have recognized that as we’ve become bombarded with content our attention spans have decreased. So the answer has been to create even short blog posts that are quick reads and lists or shorter pieces geared for social media. The result is an overwhelming amount of mediocre content. Low quality does not have to mean short, but there can be a correlation when organizations focus too much on quantity and frequency. With small budgets and limited time, organizations who want to maintain a vigorous editorial schedule may find themselves churning out low quality blogs. Is there an optimal length for online content (I’m thinking especially blogs here rather than in social media)? You still need to show your expertise, yet you need to capture short attention spans. Succinct, powerful content. This is the ability to be brief, yet still be persuasive and dynamic. It often relies more on visuals because they can so quickly relay a concept without lengthy copy. Longer, more thorough content. On the other end of the spectrum some studies suggest that much longer blogs increase engagement and improve your search ranking. Taking the time to develop very thoughtful or instructive posts (and potentially not publishing as frequently) has merit. 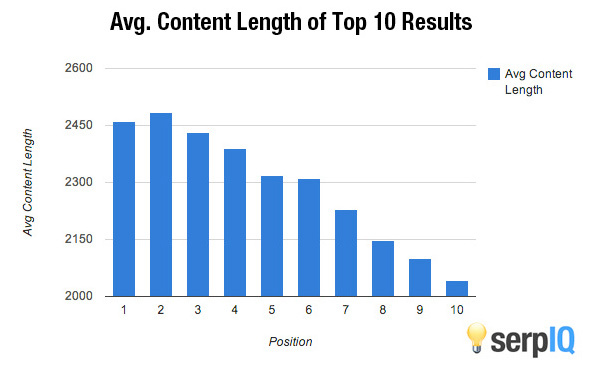 serpIQ found that longer content generally led to better search results. Where does this advice leave the person who wants to spend their marketing dollars and time wisely? To continue with our food analogy, try to be the small-portion gourmet restaurant rather than supersizing your frequency. And yes, you can serve tapas or nine-course meals. A thoughtful person understands that both long and short posts can be valuable. You need to see through the weeds and understand it’s all about quality. Some topics merit long, detailed blog posts. Others do not. By understanding the challenge of shrinking attention spans and a growing appetite for graphics and video, you have the opportunity to produce a punchy, memorable post. You can also earn your readers’ trust by digging deep into a topic and sharing your knowledge and expertise thoroughly with an engaged audience. Fast food restaurants are on the decline as American’s focus on healthier options. Similarly, Google will continue to roll out changes to it’s algorithm that to promote quality over quantity. And I’m guessing your live readers will prefer the same. < How are we doing?